The town now known as Crane, Missouri, had its beginning under another name. In the early 1880s the little group of homes, a general store or two, a mill, and a blacksmith shop was known as Hickory Grove. It nestled on the south bank of Crane Creek in the vicinity of the Christian Church, and took its name from a log school located on the ground just north of the church near the Dodge Hollow bridge. The community's children were gathered there under the watchful eye of John C. Hayes, one of the first teachers. The school also served as a meeting house and place of worship when occasional preachers came through and held meetings. A little cemetery was located farther east on what is now part of the Lockhart place. A great flood in the Summer of 1882 washed away wheat shocks in the valley and some of the graves, so the burial place was located back on higher ground. Among the earliest merchants were Tom Fought, who had the first general store, and James T. Moore; O. F. Douglas and a Mr. Rinker also ran stores. John J. "Cotton" Williams had a drugstore near where Raymond Dearing's home now stands. John Brown had the blacksmith shop. The mill was operated at different times by Lee and Wiley, and later by Uncle Ike Long. O. F. Douglas was also one of the community's first school teachers. The medical profession was represented in Dr. Wasson and Dr. Langston, who had come to minister to the little community. At that time the mail came in on the hack from Marionville on its way to Galena. Among the earliest carriers were Jesse Darrell, Frank J. Taylor, and Tom Crumes. On the way down from Marionville, stops were made at Bradfield, then a post-office, and at Curran, another post office on the Dr. King place. A need for a postoffice was felt and so an application to the Postal Department went forth asking that an office to be known as Hickory Grove be established there. Back came the reply that as there was already a postoffice in Missouri by that name would the citizens please select another name. Someone suggested "Crane," after the little creek which was named for the great number of blue cranes that lived along the stream. In due time came the word that the postoffice should be known as Crane, and Tom Fought was promptly named as the first postmaster as the office was located in his store. The community grew and prospered. Settlers were moving into the fertile valley and onto the heavily timbered ridges. Granville Gipson owned the land where the present new town is located. Big crops of wheat were cut there by Will Bass and H. G. Parsons who were said to have the first reaper used in the community. Charles F. Smythe claimed that he and his brother Will operated the first binder used on the future townsite. William B. 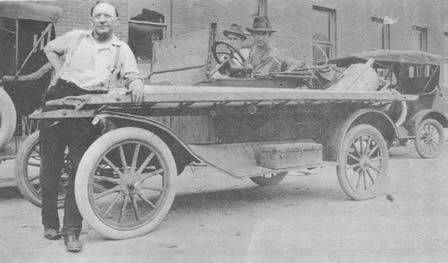 "Uncle Bill" Cox served the County as treasurer and judge at one time, and introduced the first double shovel plow seen in these parts. 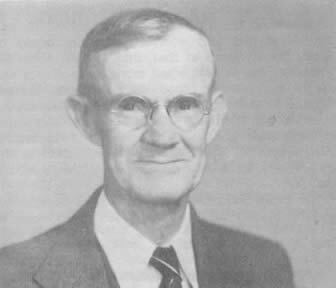 Another one-time local resident, John L. Cox, was a school teacher and served Stone County as treasurer. Excitement and interest began to mount when rumors of a railroad began to drift in. Where would it go? Some talk had been heard of running south of Aurora to Scholten, then a thriving community, and on east through Galena and in to Arkansas. It is said that many citizens of Stone County offered to give land for a right-of-way so eager were they for railway service. Rumors became facts in 1903 when grading machinery and gangs of laborers moved in. The Missouri Pacific Railroad reached Crane in December 1904, and made a division terminal there in June 1905. The roundhouse was built in 1906. The Springfield branch was built in 1905 and 1906. J. H. Taylor became the first agent and later built the Hotel Portland. The new town site was purchased from Lee Hemphill. New businesses were coming in and the old businesses were moving over from across the creek. The streets were laid out to parallel the railroad and thus do not run square with the map. E. C. Cutbirth moved a store building from Old Town to the site now occupied by the storage building of the Woods Garment Factory. Cotton Williams moved his drugstore business. J. C. Lane and his brother Willis bought out Douglas and Moore and established their business on "Value Corner" where the Myers Drug Store is now located. Meanwhile, carpenters were busy erecting new homes. Jim Kincaid and Jim Hammonds were among the earliest carpenters. The O. F. Douglas house, located where Roy and Millicent Williams now live, was one of the earliest homes built in New Town, William Gatton moved in from Verona with the railroad and established the Morning Star Restaurant which catered to railroad men, serving meals family style-all you could eat for a quarter. Other new people were making Crane their home and place of business. Among the new doctors were Dr. Huffman, Dr. Baker, Dr. Goodrich, and Dr. R. W. Smart, who established the community's first and only hospital. Later came Dr. Doggett who owned and operated for several years the Doggett's Drug Store which claimed at one time to be Stone County's biggest store. And still later, Dr.
Kerr came who, in addition to a long career as a country doctor, was active in civic affairs and served as president of the State Board of Health at one time. J. William Cook came to Crane in 1906 as attorney for the Missouri Pacific Railroad. Mr. Luscombe built a large store building where the Farmers' Exchange now stands, and caused to be added to Crane the addition known as Luscombe Heights. The oldest business still operating is The Bank of Crane which was chartered September 10, 1904. The first Board of Directors were William H. Bradford, O. F. Douglas, David M. Huffman, William R. Gillette, and John T. Moore. Other stockholders were R. B. Gillette, C. D. Turner, J. A. Blades, M. P. Brown, and J. F. Strickland. All of the foregoing organizers and stockholders are now deceased. Willis Wiley -- One of Crane's early business men. In May 1905, H. N. Parsons built the Commercial Hotel, now owned by Mrs. Nettie Gossett. There was a building on the corner where the Locker Flant parking lot is now that was occupied by a barbershop. Gene Cameron was the barber. Fred Whitmire operated a hardware store where the McCord building now stands. John Hilton moved his hardware business to Crane from Scholten in 1906. Willis Wiley became his partner in this business, and later John Hilton's son, A. B. Hilton, became a partner in the store. He and Mr. Wiley operated the store together until 1925 when Mr. Hilton bought out Mr. Wiley's interest. The store is now owned and operated by Max Hilton, son of A. B. Hilton. Moving from Old Town to New Town about 1915. L to R: A. B. Hilton, Ralph Wiley, and Dave Holderman. bought an abstract and insurance business which he owned to the time of his death in 1937. He had the oldest and only complete abstract books of Stone County lands at that time. It was in the Depression year of 1933 when money was scarce and credit was scarcer that he conceived his pet scheme of circulating his personal notes as money to stimulate business. His notes were circulated far and wide and today several are in museums. His column, "I Say," which was published in the Chronicle attracted attention throughout the Middle West. The Crane Farmers' Exchange had a hopeful beginning in July of 1920. The first officers were C. M. Cope, president; Luther Hilton, vice-president; and H. E. McGlassion, secretary-treasurer. Ruel Williams was hired as manager. The Stone County Oil Company was organized and chartered in 1924. The organizers were Jim Williams, Tom Robertson, W. L. Wells, C. C. Light, Chris Wiles, Ruel Williams, and Robert Mitchell. It is individual men and women who make history. Many colorful characters have lived and worked and left their marks upon the community of Crane during the past eighty years or so. This brief sketch can, of course, give the stories of only a few of the characters and events which have helped make Crane such an interesting town. Dated March 11, 1933, this personal note of B. F. Carney was among those to be circulated as money to stimulate business during the Depression.